When summer rolls around, it’s not usual to walk into your favorite home goods store and be bombarded by beachy items. It’s shells, and sand, and coral galore. But, this year, summer décor trends have veered in a few fun, new directions. If you haven’t yet started feeling like you HAVE TO HAVE PALM PRINT EVERYTHING RIGHT NOW!! !, you will soon. 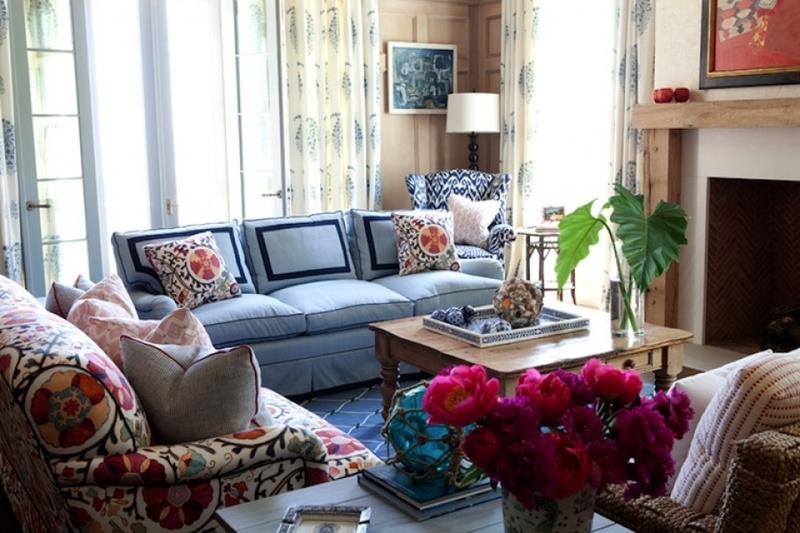 It’s just one of the hot trends that will turn your home into a summer showplace. 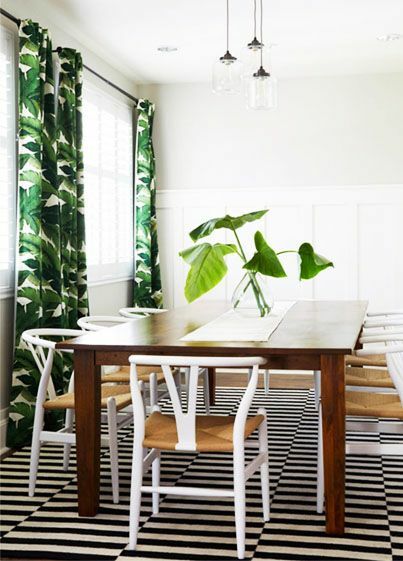 The aforementioned palm prints are everywhere right now, from clothes to walls to window décor – part of the overall tropical print trend that Vogue says we’re going to see more “in wallpaper and designer fabrics.” These drapes make a serious impact, especially against the black-and-white-striped rug. If you like the look but not in such a bold placement, try scattering a few palm print throw pillows or hit H&M for what is sure to be one of the hottest tropical collections of the summer. Also hot for spring: flamingos. But we’re not talking about the hot lawn ornaments. No, the wading bird is showing up this season in some other surprising places, like on the walls. “While flamingo-themed parties are technically what has Pinterest tickled pink, we also expect to see the unabashedly fun motif have legs in the coastal design world, like in this fabulous wallpaper,” said Coastal Living. ‘60s throwback prints. “Along with midcentury furniture and style comes another throwback to the 1960s: Vintage-inspired floral patterns,” said HGTV. “We’ve spotted ‘flower power’ patterns in window treatments, bedspreads, throw pillows and more. Design by Kathryn Ivey. Bold floral prints, taking cues from runway looks from Prada and Chloe, like on this $3,352 Marcel Wanders Nest sofa by Moooi. Coastal Living But it’s not only about vibrant citrus colors and soft, beachy vibes this summer. One of the hottest colors out there right now is navy blue, and when it comes to summer décor, this dramatic hue provides a worthy pop. “Though black has long been a decorating darling, designers are now enlisting Navy blue for their go-to dramatic hue. “When paired with pops of white, red, or yellow it has an especially beachy vibe,” said Coastal Living.